2012 PTBA Summer league champions! Game 4: September 16, 2012: Menehunes-LVI defeat Sky High for the PTBA Championship game. 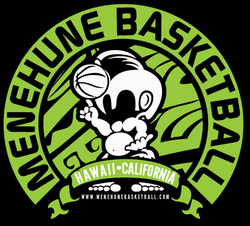 Menehune-LVI takes the Division I Summer 2012 Season Championship as they defeat Sky High by 22 points. Menehune-LVI's #24 Steve Chang got the game started for his team in the 1Q and scored back-to-back buckets, totalling 6 pts for the quarter. Help from teammate #67 Jimmy Miyasaka with back-to-back 3s allowed Menehune-LVI to take a 6 pt lead at the end of 1Q. Menehune-LVI remained consistent through the 2nd Quarter, as player #20 Billy Hoffman converted an And-1, 3 pt play. Sky High's #1 Jerry Liao kept fighting for his team with 11 pts by half time, but Sky High was still at a 7 point deficit. Losing stamina in the 3rd quarter, Sky High struggled shooting and holding onto the ball. Menehune-LVI took advantage and #67 Jimmy Miyasaka revived himself and scored 10 3rd Quarter pts (7 consecutively) which put his team up 11 pts by 4th Quarter. Menehune-LVI stayed alive for the 4th Quarter and eventually put the game away. Sky High was led by #1 Jerry Liao (15 pts, 9 rbds). Menehune-LVI's leaders were #67 Jimmy Miyasaka (18 pts, 5 rbds), #6 Raymond Hong (15 pts, 3 rbds), and #24 Steve Chang (11 pts, 8rbds). 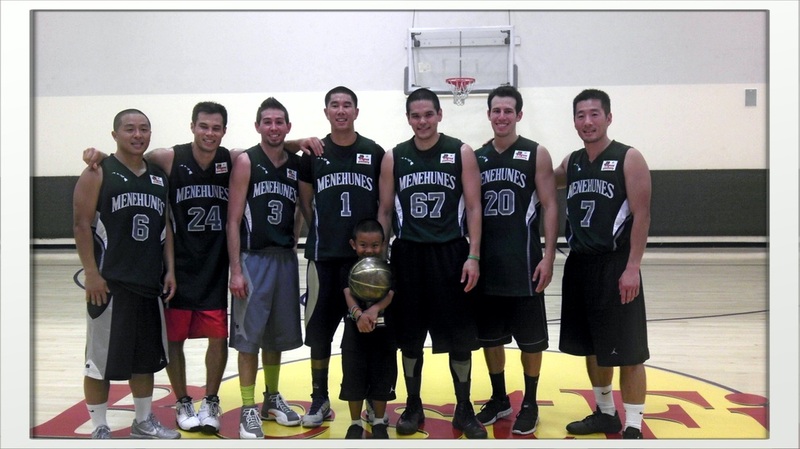 Menehunes-LVI improve to 3-0 in the PTBA League. Billy Hofman lead the way with 30points, Andrew Der and Stephen Change had a double-double, Ray Hong had a big scoring night, and Ervin Wu filled in as the 5th player for the day. BOX SCORESGame SummaryMenehune-LVI maintain their undefeated record by defeating NRG by 27 points in the 4th Week of the Summer 2012 Season. NRG was lead by #5 Calvin Lee (19 pts, 8 rbds) and #7 Alan Hsu (18 pts, 8 rbds). Menehune-LVI's leader was #20 Billy Hoffman with 30 pts. It was a piece of cake for Menehune-LVI in the 3rd Week of the Summer 2012 Season as they trotted through the game and beat Sky High by 30 points. Sky High was lead by #1 Jerry Liao with 17 pts and #9 Benny Sun (11 pts, 8 rbds). Menehune-LVI's leaders were #44 Anthony Ancon with 18 pts, #50 Andrew Der with 14 pts, and #23 Steve Chang (14 pts, 15 rbds). Without starting point guard Bim Okunrinboye and 2012 spring 3-point shooter champion JJ Aguilera, Prime Time was really short-handed with only 5 players. They managed to hold Menehune to 15 points only in the first quarter but only scored 6 themselves. Prime Time starting center Jason Powers really had a bad day today. He shot overall 4 for 22 only and missed quite a few layups in the paint. The other 4 players provided some supports but were not enough to catch up the speed Menehune scored. Billy Hoffman didn't get huge number of shots but he was extremely efficient. He shot 9 for 13, including 5 for 8 from downtown. Steve Chang also had a great game. He had a double-double, 10 for 19 with 21 points and 11 boards. Prime Time was outscored in every quarters of the game and lost the game by 21 points. Let's hope they will do better after Bim and JJ come back to the lineup next week.